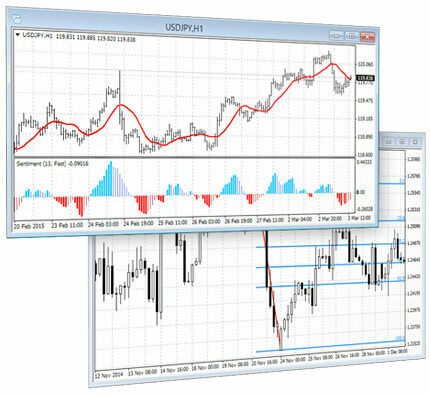 The powerful JAFX MetaTrader 4 trading system allows you to implement strategies of any complexity. The Market and pending orders, Instant Execution and trading from a chart, stop orders and trailing stop, a tick chart and trading history — all these tools are at your disposal. With JAFX MetaTrader 4, trading becomes flexible and convenient. It has everything you need for Forex trading. Smartphones and tablets are indispensable in trading when you are away from your computer. Use the mobile versions of JAFX MetaTrader 4 on your iPhone/iPad and Android devices to trade in the financial markets. 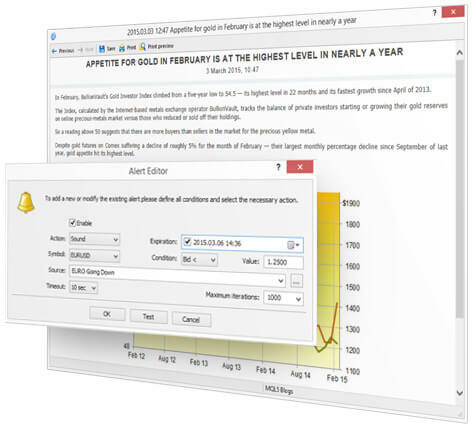 Analytical functions are one of the JAFX MetaTrader 4 platform’s strongest points.